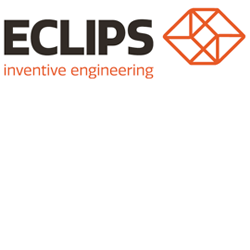 ECLIPS Pty Ltd is an Australian systems engineering company that designs and fabricates purpose-built permanent and deployable buildings and logistics platforms using shipping containers and derivatives. ECLIPS offers a range of off-the-shelf products or can design and fabricate unique modules to meet customer requirements. With a history in defence, emergency services and the resources sector, ECLIPS’s solutions are focused upon reducing cost through standardisation, modularity and containerisation. ECLIPS is a specialist company that designs and delivers container-based deployable solutions to meet its customers’ specific functional needs. ECLIPS's team has significant experience in Military and Container Logistics Operations resulting in the capacity to identify optimal solutions to meet its customers’ unique User Requirements. ECLIPS offers an existing inventory of containers and intermodal systems ranging from standard general purpose containers through to accommodation, communication and high security modules. ECLIPS’s core business is in the development of purpose-built logistics platforms, deployable solar generation solutions, training facilities, military operating bases, construction camps, niche deployable capabilities and commercial containers. ECLIPS’s solutions are focused upon reducing cost through standardisation, modularity and containerisation. ECLIPS also follows a systems engineering approach to ensure that well defined and approved functional design briefs inform its detailed fabrication drawings, test plans and project management plans. This ensures that customers are fully apprised and comfortable with what ECLIPS will deliver before the commencement of modifications.